The oddly named Olivia Tremor Control hail from Ruston, Louisiana, and are probably the most beautiful thing ever to come out of that place. Along with Robert Schneider’s Apples in Stereo, the OTC were founding members of the Elephant 6 Collective, the group of like-minded psychedelic enthusiasts who sought to re-inject the world with the sort of pure kaleidoscopic bliss not heard since 1967. Fronted by the songwriting team of Bill Doss and Will Cullen Hart, Bill and Will churned out two timeless records of 90s indie rock, possibly the best ever, with back to back double albums, Dusk at Cubist Castle and Black Foliage. These records are monuments to their ability to carve beauty out of sound. Filled with fragments, song experiments, and some of the greatest psychedelic pop songs ever, the two records weave together in a gorgeous cacophony of sonic splendor. If you’re the kind of person who loves the Beatles “White Album,” and always wondered what the Beach Boys completed Smile would sound like, just buy, download, or steal the OTC’s records immediately. The band never released any official music video that I know of, so you’ll have to do with straight up still youtube videos as samples, but my preview is going to glide you along OTC’s chronological history. The first song, “Love Athena,” is from their earliest days, appearing on compilation records California Demise and Singles and Beyond. It is the great white whale of underground psychedelic pop rock, filling you with feelings of nostalgic love for perfect lost days. I kind of hate how they mumble some of the greatest lyrics ever written. Just check out the chorus, “Shining like Athena in a silver suit of armor, Her love is like a nail and now I’ll bring down the hammer, Sprouting like a flower on a hill top where I’ll find her, Where I’ll plant a seed and watch it grow into the streaming light of love.” Unbelievable poetry. The next song, “Memories of Jacqueline 1906,” is from Dusk at Cubist Castle, and is just a perfect rock and roll raga. I have no idea what the song is about, but its basically like a lost melody the Beatles might have churned out in early 1968 when they were meditating in India. That introductory electric and acoustic guitar part is so perfect, my God, just play it! Last is the song “Black Foliage (Itself)” from the epic Black Foliage record, (itself.) Hah. This song is just a masterpiece of sonic architecture, with sounds rushing in and out, all orbiting around a melody and words so dark and beautiful. I love how the song keeps crashing into itself like ocean waves at midnight. All this stuff is hard not to describe abstractly, so I really suggest you get right to work and listen to these tracks, then get everything they’ve ever done. 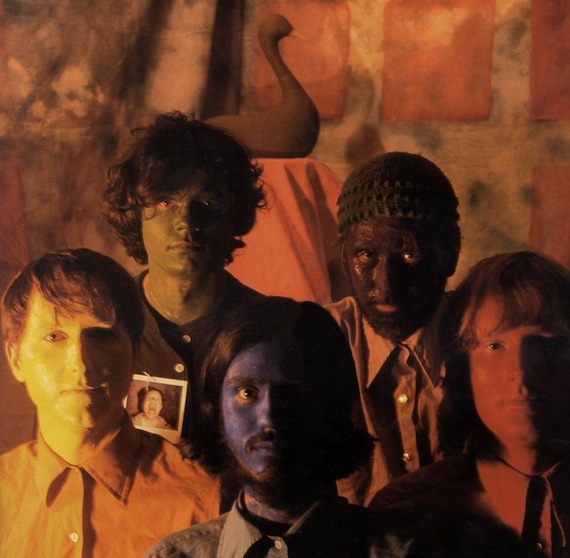 Before I go, if they are reading this, I just want to thank the Olivia Tremor Control for creating some of the greatest music of all time, and inspiring me to make music as well. From one Willie to a Bill and Will, you guys are the best. Powered by WordPress v 5.0. Page in 0.480 seconds.